I’m coming to terms with the fact that a lot of people like to wrongly think I’m a hipster. I have bangs and long hair that I don’t always brush. I wear dresses. I like bourbon and mason jars. I own too many things from Anthropologie. Little do they know… I love Beyonce and Romeo Santos/Aventura and generally shop at Food 4 Less. Oh and I bathe daily and don’t think I’m any better than you. Not very hipster-like if you ask me. But just for fun, let’s keep up appearances. I present to you a hipster dessert. If you’re looking to impress a hipster, make this. It’s sure to impress. Feel free to serve it with some PBR on a vintage plate while listening to some unknown band. Preheat oven to 350F. 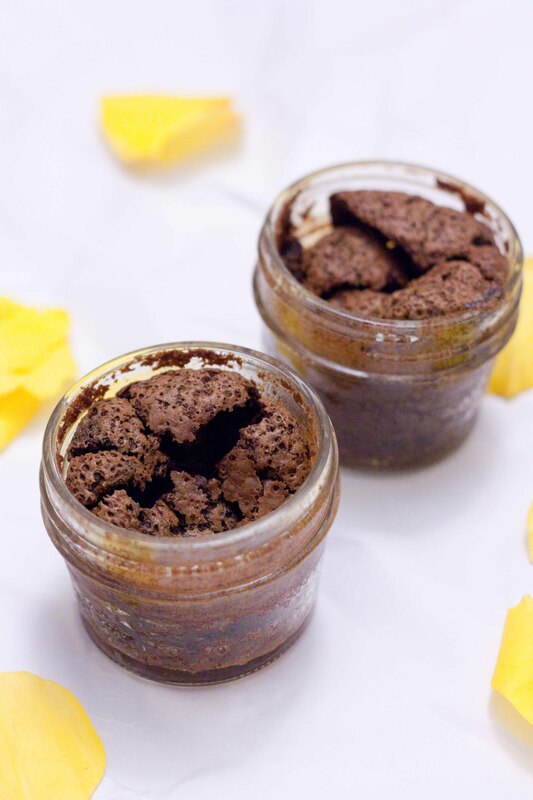 In a saucepan, melt together butter and chocolate on low heat, set aside to cool slightly. In a separate bowl, combine white sugar and brown sugar. Add melted chocolate to sugars and stir to combine. Add in eggs, one at a time, beat until well combined. Add baking powder, baking soda and salt, stir. Stir in Bourbon/Whiskey. Pour mixture into 12 greased 4oz mason jars. Place on a baking sheet, bake for 20-30 minutes or until they pass the toothpick test. They’ll rise but big but don’t worry they’ll shrink again. This might not be the prettiest dessert, but that’s okay. Hipsters don’t care about pretty. It tastes like bourbon and chocolate. That’s all that matters to them. Refrigerate until ready to eat. I recommend eating them the next day with whipped cream. The texture is better after chilled, and the whipped cream works wonders (that is if you have any left over from Valentine’s Day…). So go ahead, make this for the hipster or in your life. Or just a boy. Or yourself. Or anyone really. Very cute! 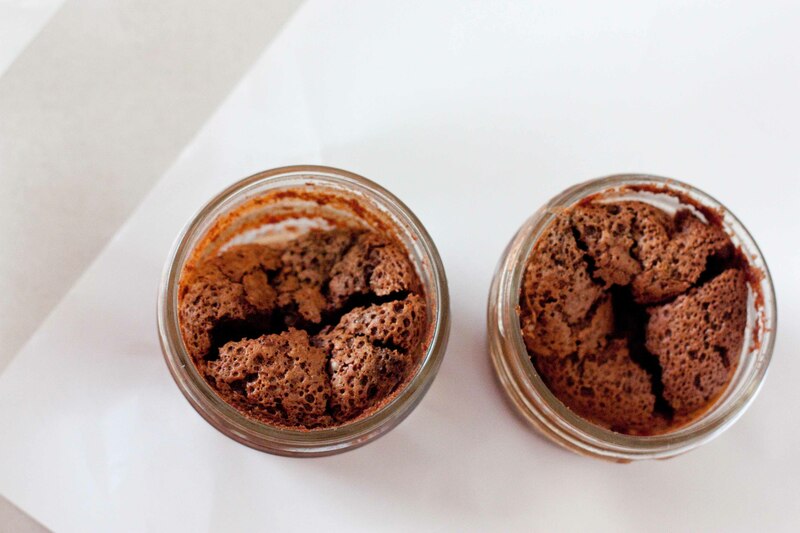 I just made pies in a jar. Cool idea – thanks for sharing! I am about the furthest thing from a hipster (how did that happen so fast?) but I do love things in little jars. Easier to take them to your picnic! 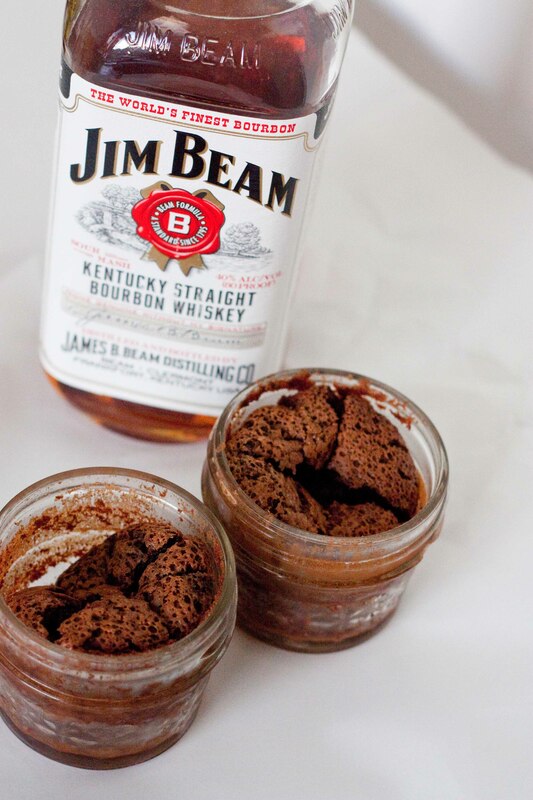 I’ll keep that in mind :D. These look great – Jim Beam is a great bourbon too. Wow, how’d I miss that? 4 eggs. It’s edited now. Thanks for catching that.